Living in Australia means you have to contend with some serious bugs! Thankfully, Mother Nature saw fit to arm the continent with one of the planet’s best repellents – the eucalyptus tree. It’s the 100% Australian organic lemon scented eucalyptus oil in Queen Bee Secrets’ Anti Bug Balm, combined with gentle lavender, that does the trick. Not only does the eucalyptus help to discourage those mozzies from landing on you in the first place, if you do get biten or stung then the lavender is there to soothe and heal the welt or bite. 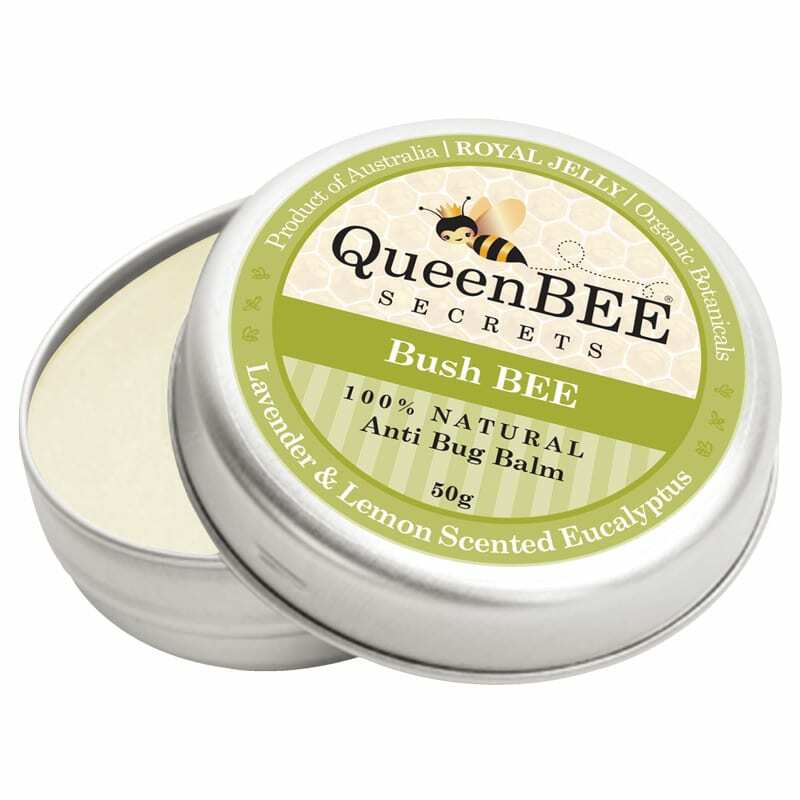 This amazing balm comes in either a 25g tin or a 50g tin if you really hate bugs!